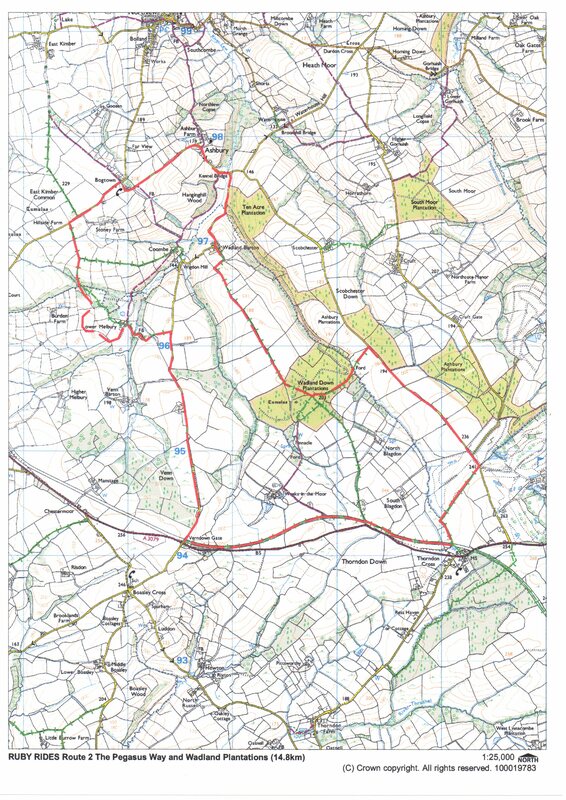 This 14.8km (9 mile) circular horse riding route starts from Thorndon Cross where there is space to park a trailer. The route follows part of the Pegasus Way from Thorndon Cross to Venndown Gate and also takes in open countryside and quiet lanes. There is a new bridleway at Lower Melbury making this part of the ride more pleasant, created as part of Ride the Ruby Country by Devon County Council. This entry was posted in Horse rides, horse riding, Routes and tagged Horse riding, Pegasus Way, Ride the Ruby Country, routes, ruby country, Thorndon Cross. Bookmark the permalink.